Why All The Fascination With A New Prince Song? 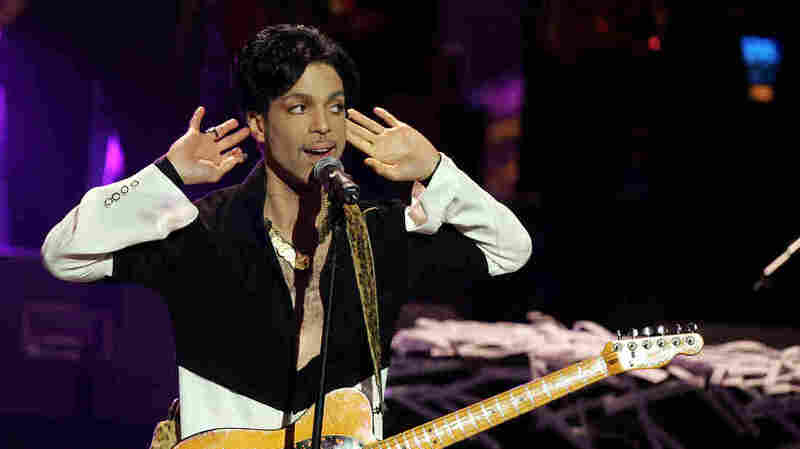 NPR's Steve Inskeep and Stephen Thompson discuss the complex history of "Deliverance," a previously unreleased Prince song from 2006 that came out this week. Prince performs onstage in March 2005. In this discussion, NPR's Steve Inskeep raises several key questions: What are the arguments for and against release? Why the fascination with a new Prince song? And, given the many logistical and ethical issues involved, when is the right time to put out an album posthumously?